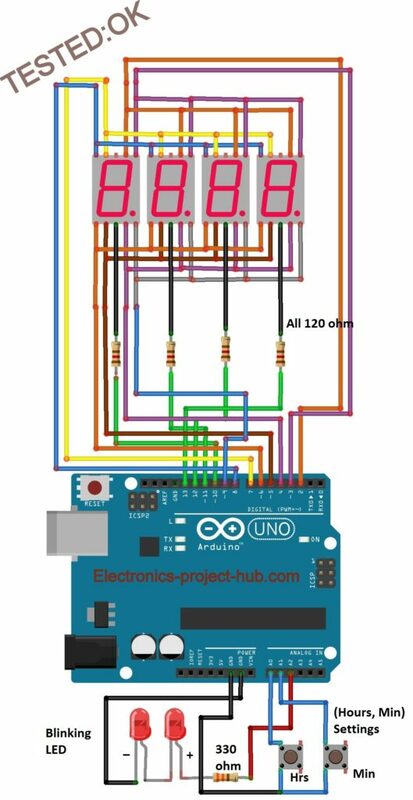 In this post we are going to learn how to construct 7 segment display digital clock using Arduino. We will be constructing two digital clocks, one with RTC and one without RTC module. 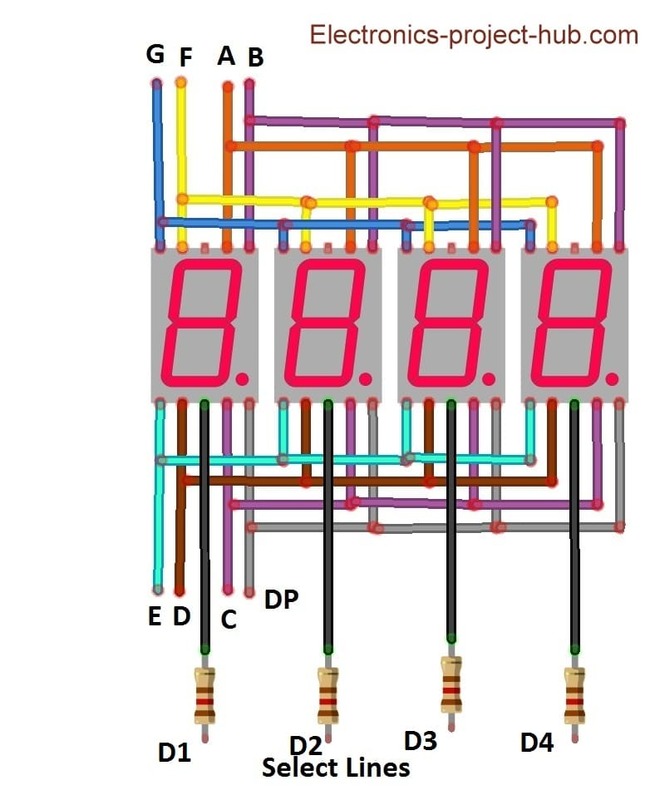 Multiplexing 4 digit-7 segment display. Circuit Diagram of 7 Segment Clock without RTC. Accuracy of Digital Clock without RTC. Circuit Diagram of 7 segment Clock with RTC. How to Set Time to RTC. 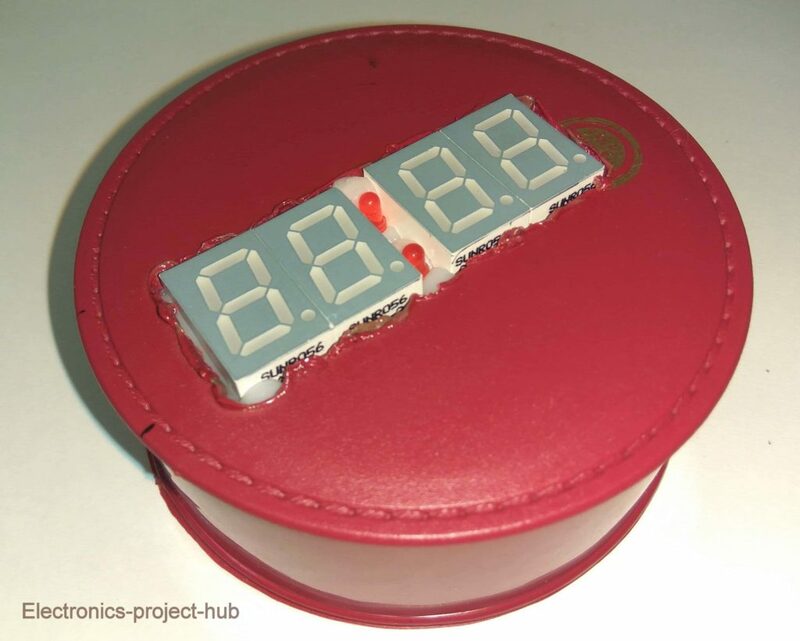 The proposed 7 segment clock design is a four digit timepiece with couple of LEDs blinking at the rate of 1 Hz between hour and minute digits. 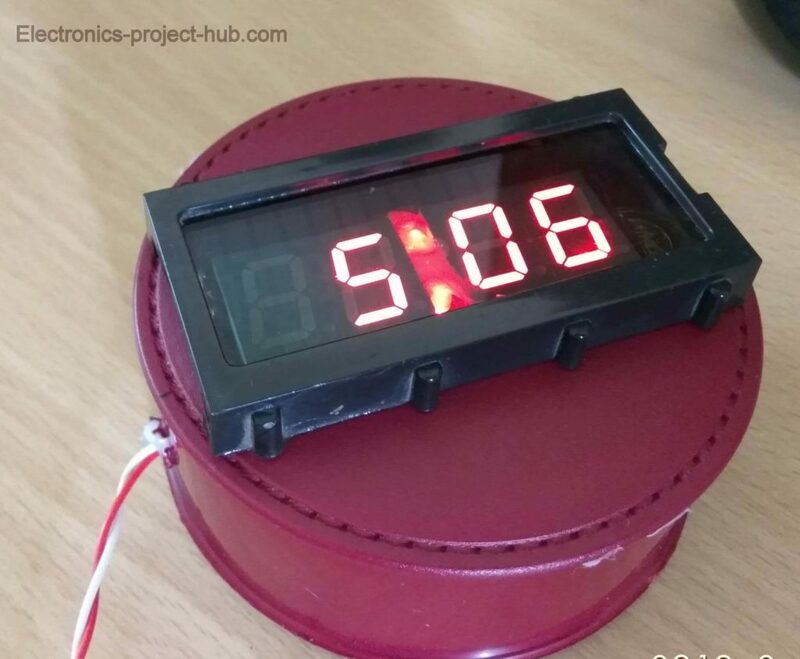 The 4 digits are multiplexed to reduce the number of wires that connects from Arduino to 7 segment displays, this will also reduce the power consumption significantly; with the power consumption of just one 7 segment display we can power 4 digits or more without any noticeable reduction in brightness with the same current draw, this is a boon if you are powering this clock using batteries. This is possible with a technique called multiplexing, let’s take a look briefly. Multiplexing is done when there are two or more 7 segment displays, multiplexing is done by connecting individual segments together like illustrated in the above schematic. The common terminals of a 7 segment display are treated as “select lines”, with the help of select lines we can enable or disable the individual displays. While multiplexing at any given time only one digit lights up and rest of the digits stays OFF, but this occurs 100s of time per second such that we will perceive all the digits lit up simultaneously. To know more on how multiplexing works in detail, click here after you complete reading this post. The proposed circuit consists of Arduino which is the brain of this project and four 7 segment displays which are multiplexed. 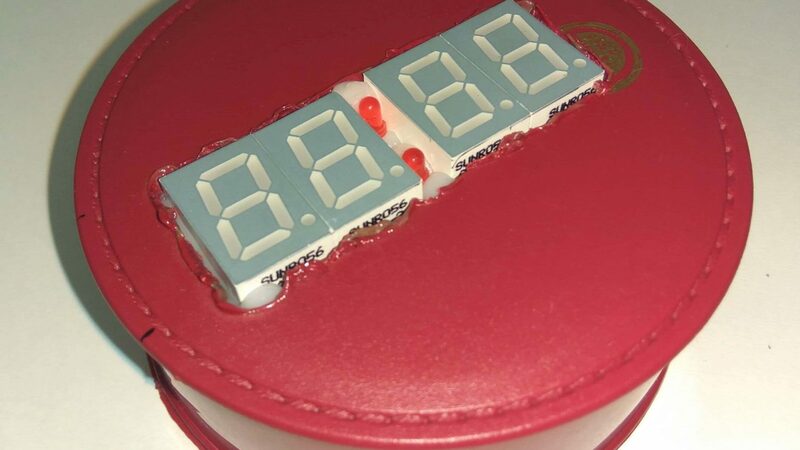 There are two LEDs which blink at the rate of 1 Hz; these two LEDs are to be placed between the hour and minute digits and there are two push buttons provided to the set time. [Segment to Arduino Pin]: A – 2, B – 3, C – 4, D – 5, E – 6, F – 7, G – 8, DP – 9. [Common terminals to Arduino Pin]: D1 – 10, D2 – 11, D3 – 12, D4 – 13. The clock will display 12:00 when you power the circuit and the two LEDs starts to blink. Pressing hour button will increment the hour digit; you can set hours from 1 to 12. Pressing minute button will increment minute digit; you can set 00 to 59. The hours and minutes digits will increment by one for every second after you depress the push button. The proposed clock without RTC may drift +/- 30 seconds a day or more depending on the ambient temperature variations. The variation might get accumulated over time and may drift couple of minutes or more a week. So you might need to set the correct time again, but need not to worry too much as you can set the correct time easily with just couple of clicks of button. The time vary because of the clock generated by the crystal varies with the temperature; the clock signal is not precisely 16MHz but very close to it. Temperature variation of few degrees will change the oscillation of the crystal by a fraction, but this tiniest error accumulates over time and deviate from the correct time. Most of the Arduino boards don’t use a high quality crystal oscillator, some even uses resonator instead of crystal. 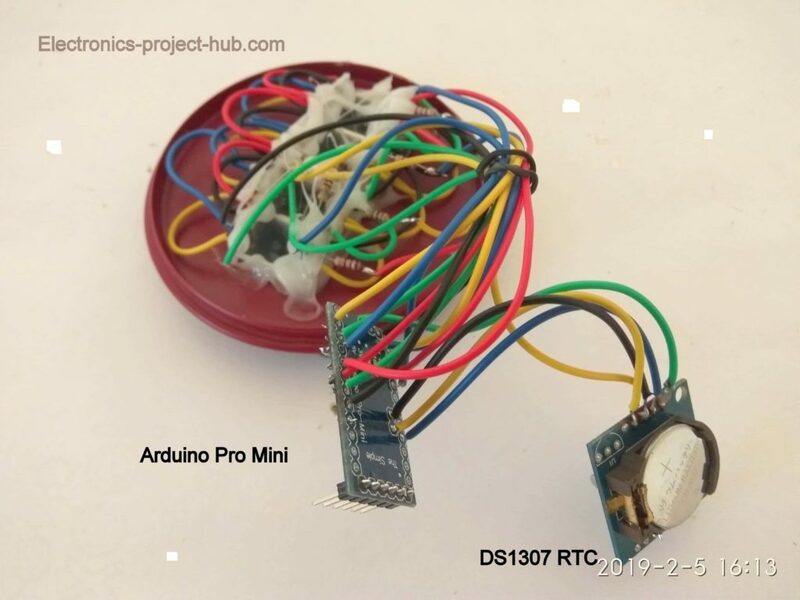 The circuit consists of Arduino which is the brain and RTC module DS1307 which is heart of the project and four 7 segment displays which are multiplexed. The RTC has a 3V (CR2032) lithium non-rechargeable battery which can serve this module for more than couple of years even when no power supply is given. It keeps track of seconds, minutes, hours, date, month and year with leap year compensation. But we are going to extract only hours and minute information from RTC module. To interface RTC module we just need to wire up four wires 5V, GND, SDA (Serial Data) and SCL (Serial Clock) to Arduino. The RTC module can detect power failure and will switch to battery mode instantly. The Couple of blinking LEDs must be placed between hour and minute digits. 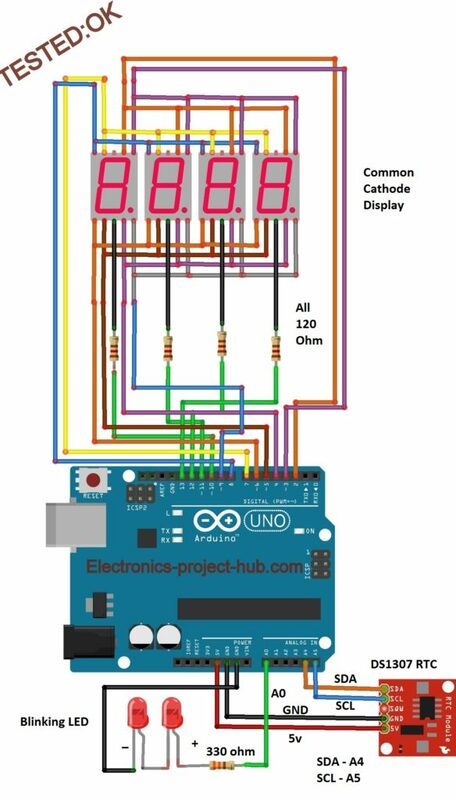 Connect the USB to Arduino and make sure that time on your computer is correct because the time on the computer will be set to the RTC. Open the IDE and click on Files > Examples > DS1307RTC > SetTime. A window with a program code will pop-up, just upload the code to Arduino with RTC connected. Don’t forget to select the correct COM port and set baud rate as 9600. Now open the serial monitor, it will say the time is set. Once this step is done successfully, upload the below given code to the circuit. The accuracy of DS1307 RTC based clock is still going to depend on the ambient temperature variations. The RTC module still depend on the quartz crystal but the good thing is that the time drift will be minimal. We can witness time deviation anywhere between +/- few seconds to a couple of minutes per month. A good quality DS1307 RTC will have minimal time deviation, but cheaper DS1307 module from china will have more time deviation, this is because of the bad quality crystal used. To get high accuracy we can switch to DS3231 RTC which has temperature compensated crystal, it has time deviation of just 63 seconds per year or 5.25 seconds per month as per its data sheet. Some users reported that using DS3231 they are just drifting 1 second per month making it most accurate RTC, but DS3231 is more expensive than DS1307 RTC. You cannot use DS3231 with this code as it uses different library. If you have any question regarding this project, feel free to comment, you will get a guaranteed reply from us. Don’t worry this is fully tested circuit, it will work if your circuit hardware is correct. Please elaborate what is the problem you are facing and which one: with RTC or without RTC project. This what I understood from you comment: The minutes digit is working correctly, but when minutes changes it also affect the hours digit. Please check the wiring thoroughly for any full or partial short circuit between these two digits / segments. When partially shorted the digit will mirror the other digit dimly. If a full short circuit it will mirror the digits brightly. So its a wiring problem. Yes, you can but you need a buffer stage to handle the voltage and current. 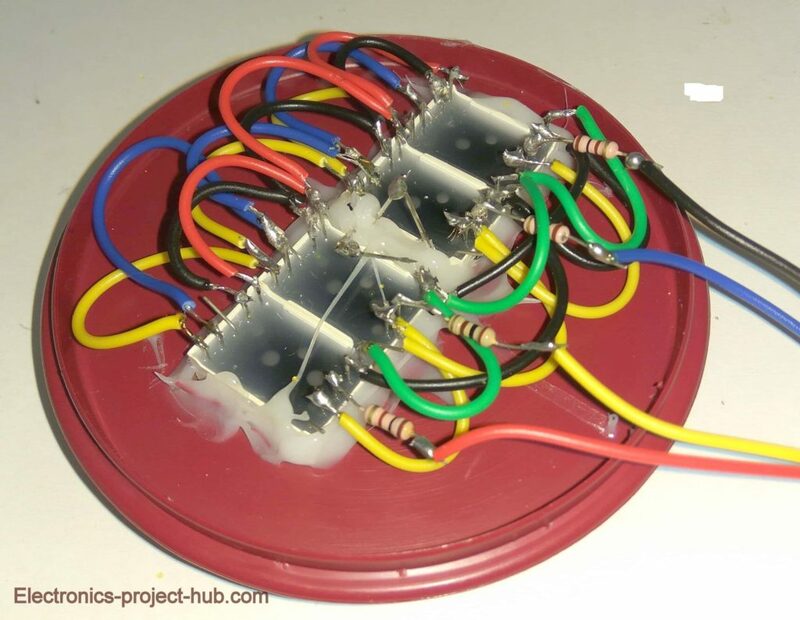 A push-pull amplifier will do the job for each segments. You can ask all your questions here, so that other readers may find helpful. We want to know the sepecifications of the display in detail, we will take a look and if it is feasible, we may update the post. I can hardly understand you English! Please use google translate and comment. Thank you to the Developer for built this beautiful project….. I am gland that it worked. Good job!